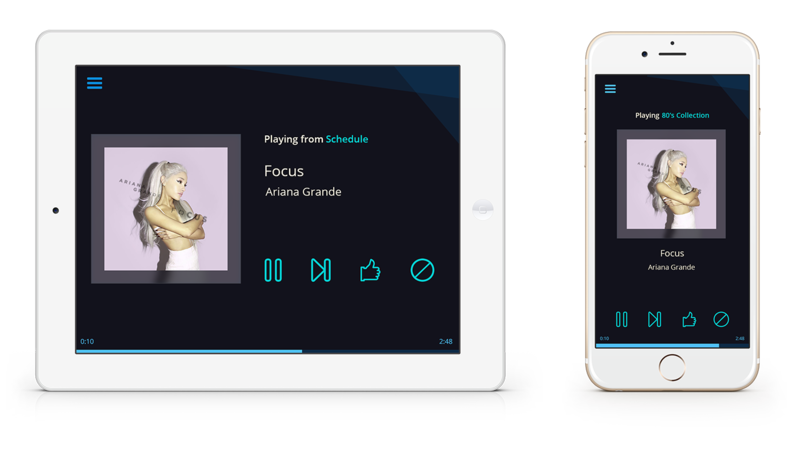 Music player apps for venue owners. 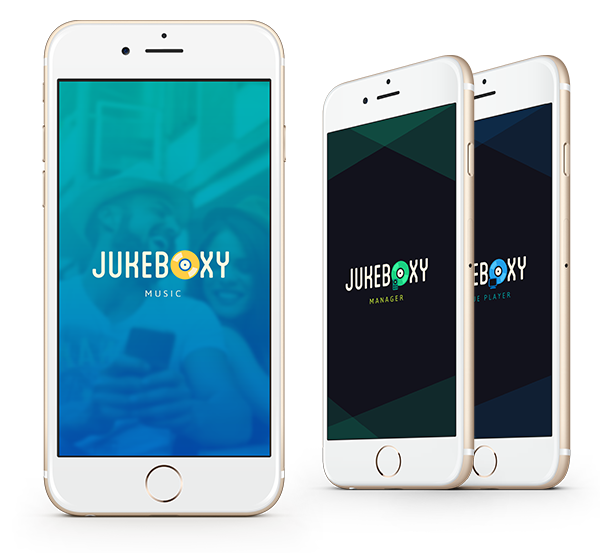 Jukeboxy Venue Player is a crossplatform music app for venue owners, allowing them to easily set desired mood. In 2015 I was approached to revamp the look and feel of the brand but also work on additional apps and features that have been added since the project’s release in 2013. In order to get started, I had to understand how all of the Jukeboxy apps worked together and what information was shared across different applications. 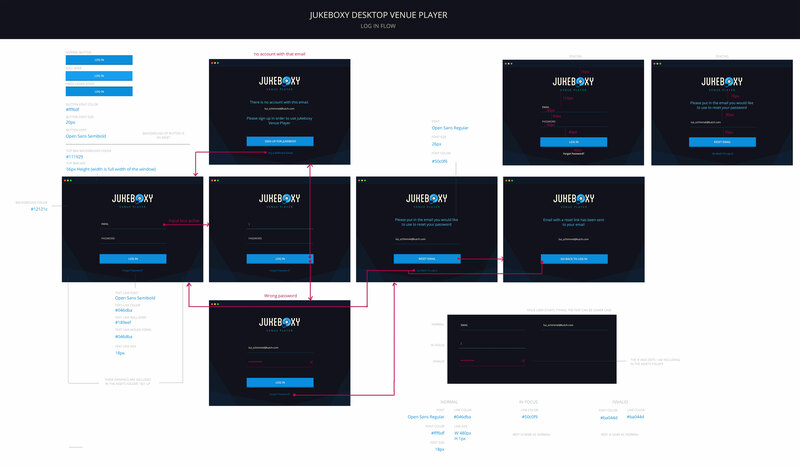 Once I had a good idea of how to structure the account creation process, I started wireframing the Desktop Player app. The initial bare bones design only allowed you to select 1 playlist at a time using a dropdown menu and didn’t allow browsing of playlists. 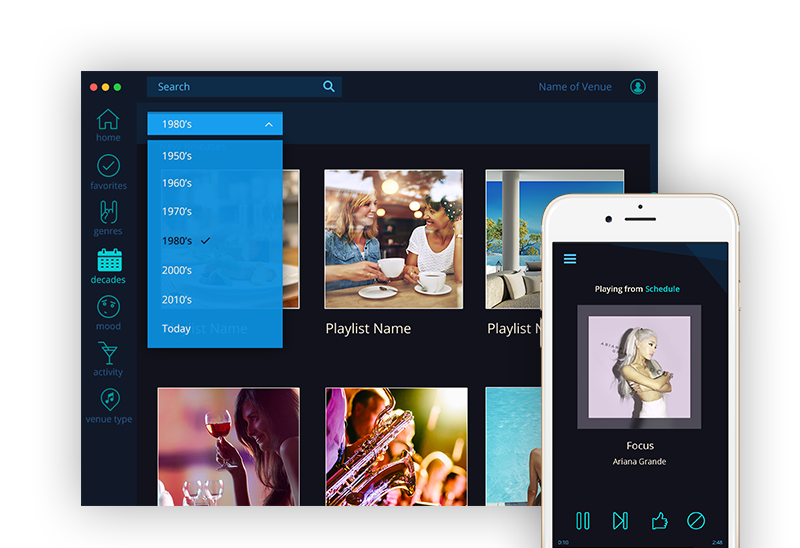 The idea was to make it a little more about discovering new playlists as well as categorizing existing ones for better user experience. There were two different approaches for this. Because of time constraints I wasn’t able to fully prototype them, but normally this would be the stage at which point I do quick playtest to help narrow down options. 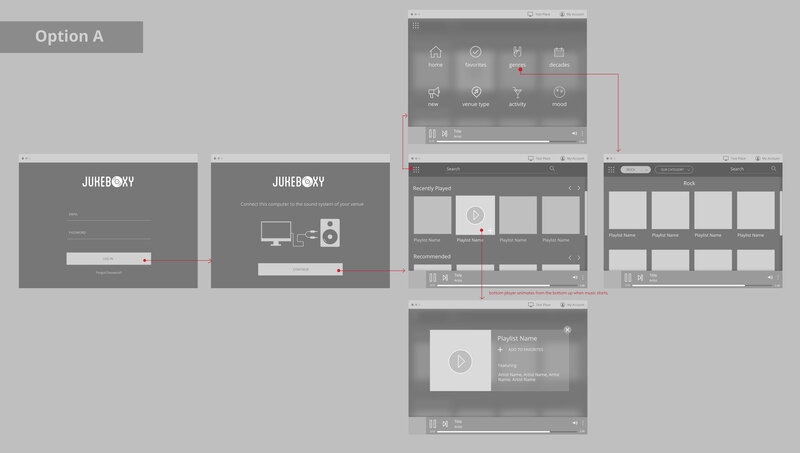 Before starting Jukeboxy Desktop Venue Player, I worked on rebranding the entire Jukeboxy brand. I came up with logo and color scheme for each application along with useful style guides. 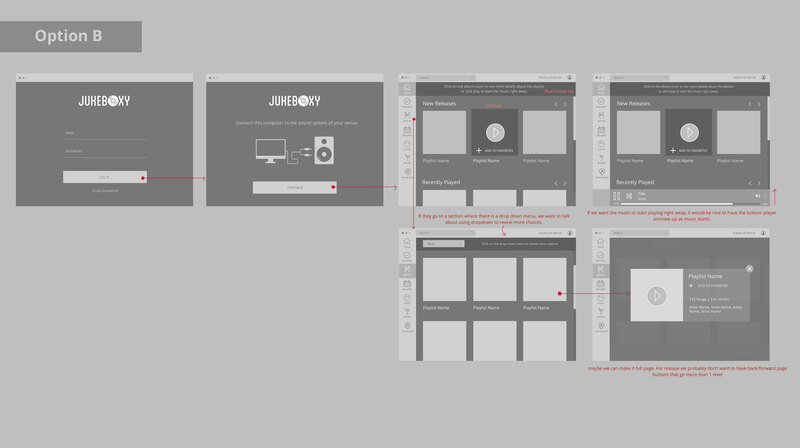 This allowed me to quickly jump into UI design once the wireframes were finished. We had some real world feedback from venue owners, so for launch we decided to keep it simple and allow only limited functionality. A lot of these players were kept in phone or tablet stands, so we opted for a portrait mode for phone apps and landscape mode for iPads. Obviously there is room to expand here, but with limited time these were quick ways to speed up release of the apps. 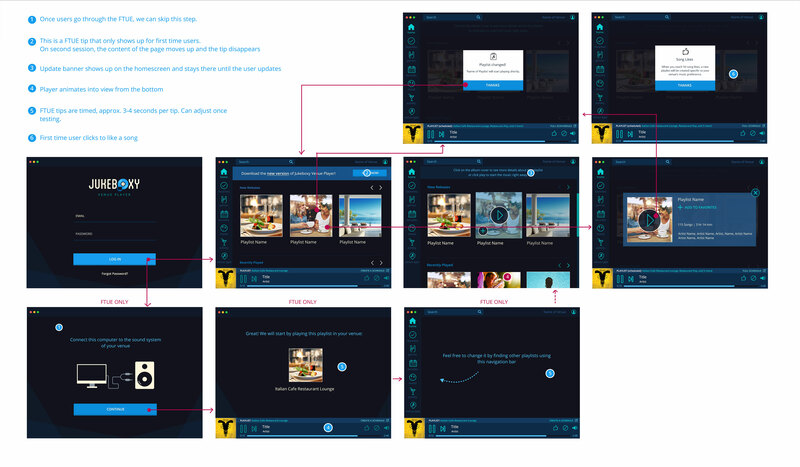 The Venue Player is one of 3 applications from Jukeboxy. I wanted to set up a similar theme for all three with colors that would complement each other. Each app would have it’s own distinct set, but as a whole the entire color scheme would work together as well.